This mandarin was sweet and slightly tart. I found one small seed in of the segments. 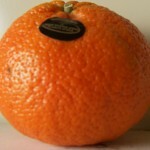 The segments themselves had a tough outer membrane that once you get through, reveals a pleasant juicy, orange flavor. It said to contain 42% juice. It is also the largest in size of the three. The fruit is able to hold onto the trees until April. 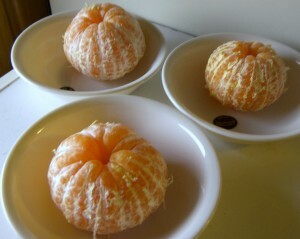 This mandarin is sweet with very plumb segments. Taste wise, they were the best of the three. They have rich pineapple-like flavor. Very unique in a mandarin. This is the one I going to buy again and again. I found no seeds whatsoever. The fruit can hold onto the trees all the way into May, making it the last of the three to disappear in stores. 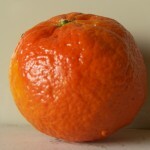 This mandarin I found to be a bit chewy, which I did not find appealing. The flavor was slightly bitter, but not in an unpleasant way. I found two seeds in one of the segments. This was my least favorite of the three and would probably only buy again if the others weren’t available. This one matures the earliest out of the three and doesn’t hold onto the trees very well. Ever since my doctor told me to lay off juices and focus on fresh fruit for my sweets, I’ve been shopping the local Farmer’s Market every friday. One vendor specializes in citrus, and that’s when and where i discovered SHASTA GOLD mandarins, which is about as close to a perfect citrus eating experience as I can imagine. 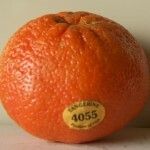 Seedless and easy to peel, juicy and intensely flavorful, putting other strains to shame. Hard to tell how much of it is the strain and how much the grower, but the flavor is a perfect balance of sweet and sour, I will definitely be missing these when they go out of season. Yeah Shasta Gold is a good one, I am glad you got the chance to try some. 5 years later, the local Farmers Market closed, the vendor (ARNETT FARMS) moved on, but I found them at another Farmers Market on La Cienega Bl. Look for Arnett Farms in other farmers markets, I haven’t found anyone else selling Shasta Gold. Arnett Farms’ other citrus is also excellent, which raises question as to whether Shasta Gold is as good from other vendors. Shasta Gold remains my favorite, I’ve noticed that the season seems to have shifted from late winter to spring – possibly a consequence of global warming and pollinating later in winter??? I’ve also noticed the quality of the fruit seems to improve through the season, with largest juciest, tastiest fruit right towards the end (currently late June / early July). My latest haul includes three huge 18-24 oz fruits the size of large palmettos.